Canada West men’s soccer couldn’t have asked for a much better advertisement than Friday evening’s clash between the University of the Fraser Valley Cascades and UBC Thunderbirds. Playing at MRC Sports Complex, the Cascades and Thunderbirds traded chances all night long in a highly entertaining tilt between Pacific Division rivals. While the final score line read 1-1, the two teams could have lit up the scoreboard in a serious way if not for some spectacular work from the respective goalkeepers, David Hicks (UFV) and Jason Roberts (UBC). Brady Weir was the goal-scorer for the Cascades (1-1-1), connecting on a penalty kick in the eighth minute, and Caleb Clarke leveled matters for UBC (0-0-1) in the 23rd. “Both teams had a ton of chances,” UFV head coach Tom Lowndes noted, “and both teams probably can go away and think they should have won the game. Friday marked the Cascades’ home opener, and it was a marquee match-up to say the least: UBC was decisively voted No. 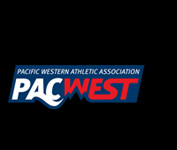 1 in the Canada West preseason coaches poll, and they’re No. 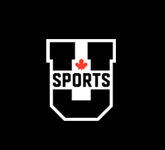 7 in the U SPORTS national rankings. UFV, meanwhile, checked in at No. 11 in the CW coaches poll. The Cascades gave their crowd reason to cheer early after Gurmaan Jhaj was fouled in the box by UBC defender Connor Guilherme. Weir stepped to the spot and calmly slotted a shot into the right side of the goal; Roberts had gone the other way. Weir followed up his first goal of the campaign with a memorable celebration for the home fans, racing towards the corner flag before stopping short, dropping to his hands and knees, and doing an exaggerated crawl forward. “A couple days ago I was talking to my buddies, and I said, ‘You know, the classic (celebration) is you put your arms out, you run, and a group hug with your friends,’” Weir related with a chuckle. “But I mean, we’ve got to do something more. So I just thought, I’ll do a bear crawl. Show we’re hungry. Clarke, a former Vancouver Whitecap, drew the visitors even. Sean Einarsson played a slick pass through to the onrushing Clarke, and he poked a low shot past Hicks. The Cascades pushed back and generated a couple of great looks of their own. Charandeep Rangi came blazing down the right side and forced a tough diving save from Roberts, and shortly thereafter, Parman Minhas took on two UBC defenders, only to have his tight-angle shot stopped by the UBC keeper. The T-Birds had a golden opportunity to go ahead in the 34th minute, when Cascades captain Tammer Byrne picked up a yellow card for a foul in the box. Clarke drilled his attempt from the penalty spot off the crossbar, and he chased down the rebound and fired a shot past Hicks. But because no other player touched the ball between his initial shot and the follow-up effort, Clarke was whistled for a double touch and the goal did not count. The second half, in similar fashion, featured bushels of great chances for each team, with the Thunderbirds owning more of the possession and the Cascades looking dangerous on the counterattack. In the 59th minute, Minhas was sent in down the right side, only to send his shot just wide of the post. At the other end, UBC’s Zach Verhoven forced Hicks into a diving save, and Thomas Gardner later sent a shot off the crossbar. Cascades rookie striker Andrew Peat had a couple of great looks in the late going. First, in the 77th minute, Roberts denied him after Jhaj had played him in. Then, in the 79th, Peat got his head on the end of Anthony Vega’s corner, only to send it off the bar. Hicks came up with one last highlight-reel stop to seal the result, stoning Kristian Yli-Hietanen on a close-range header. UFV midfielder Rajan Bains and UBC’s Gardner were their team’s players of the match. Lowndes praised the play of Hicks, who was making his first start of the campaign after Alex Skrzeta handled the goalkeeping duties in road games at Thompson Rivers and UBC Okanagan earlier this week. 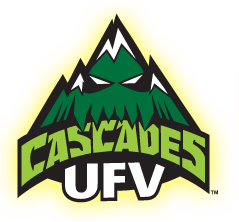 The Cascades bench boss was also thrilled with the play of his young players – UFV’s starting lineup featured four rookies, and three other first-years saw action off the bench. 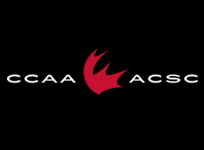 Up next for the Cascades is a Sunday afternoon home clash with the Victoria Vikes (2 p.m., MRC Sports Complex).